Hardwood has an impressive upscale look that brightens any home, but did you know its durability makes it a great choice for busy households? At Ironstone Building Company we source our hardwood options from BreezeWood Floors, a proudly Canadian company that provides sustainably harvested local hardwoods. 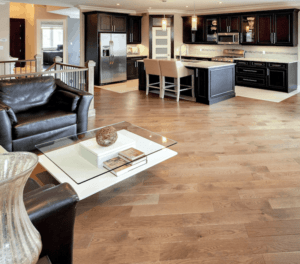 BreezeWood Floors brings the forest to your home with flooring that is milled, produced, and finished on-site in their Tillsonburg, Ontario plant. “This unique level of integration allows BreezeWood to ensure high quality and ethical standards are adhered to every step of the way,” says BreezeWood’s Karen Keller. On top of quality, BreezeWood’s colour experts work to produce the best stain tones on the market. Ironstone homeowners get to choose between three shades: Nutmeg, Driftwood, and Pecan. “We carefully monitor emerging trends in fashion and home décor for the latest in what’s new. Balancing this with a traditional tried-and-true range of colours in a variety of species, BreezeWood offers something to suit everyone’s taste and style,” says Keller. BreezeWood Floors ensures their products are finished in a manner that provides superior protection from water, traffic, and daily household activities. There are also precautions you can take to extend the lifetime of your flooring. 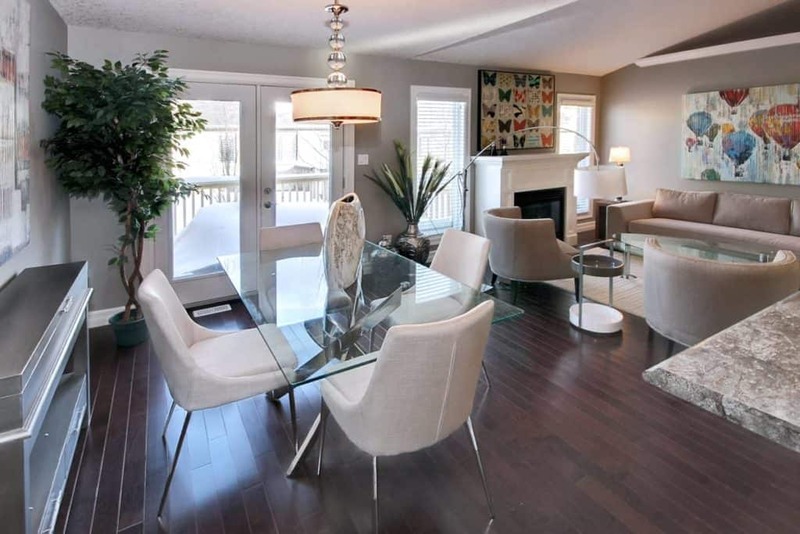 Most Ironstone homes come with hardwood throughout the main living floor while additional areas, such as the upstairs bedrooms, can be upgraded.